Fantanstic artwork. It is awesome to see the land start to come to life. Kep up the great work. Would love to know if you have these for sale (Maybe a signed print of the Land?). I have been a fan from day one and to see it now in colour is like seing a penfriend for the first time. You have whet my appetite. please continue. I love these. I want more, more, more. Please let me know anything, any time. Thanks David, if you like maps the only other I have done so far is a map called acroppolis. its not quite done yet but you can find a copy of it at www.revelstone.webs.com. 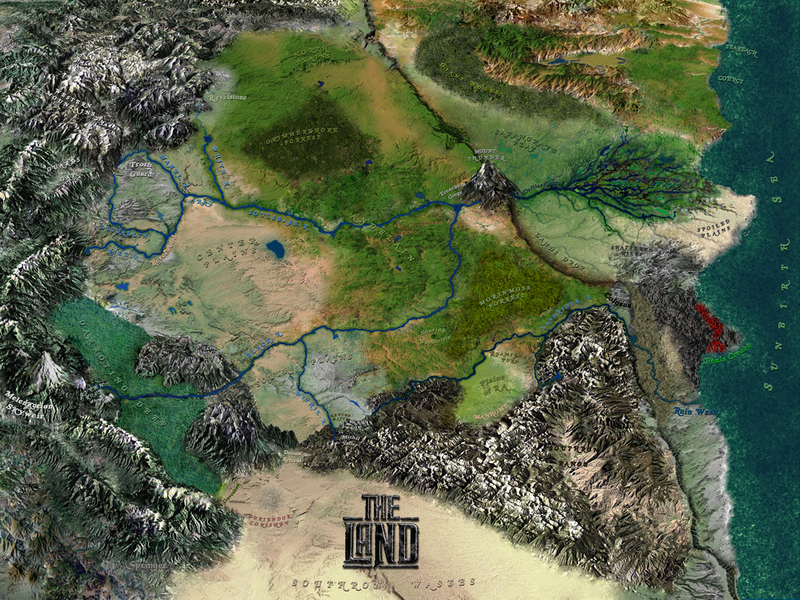 eventually i will update the map for the Final Chronicles.